The Cavs were broken, and Thursday's flurry of trades seemed like a good step toward fixing them. The Cleveland Cavaliers didn’t need just a touchup entering Thursday’s trade deadline, they needed a makeover. Over the past few weeks, as they lost 14 of 22 games and allowed mediocre teams to pile points on them, the Cavs revealed themselves to be deeply and painfully broken. 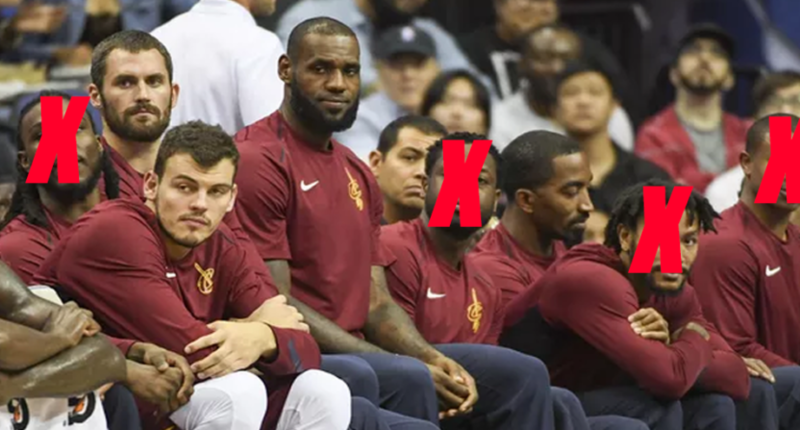 With Kyrie Irving gone, Isaiah Thomas inexplicably impotent, Kevin Love hurt and the bench just short of geriatric, Cleveland was no longer the clear best team in the Eastern Conference and no longer even a remote threat to the Warriors for NBA supremacy. Something clearly had to change. Or, as it turned out, maybe a lot of things had to change. The Cavs made three trades Thursday, dealing away six players and acquiring four. They picked up George Hill and Rodney Hood in a complex three-way swap that saw them serve up Derrick Rose, Jae Crowder, and Iman Shumpert. They sent Dwyane Wade back to Miami in what essentially amounted to a giveaway. And, in the biggest move of the day, they packaged Isaiah Thomas, Channing Frye, and a first-round pick to the Lakers for Jordan Clarkson and Larry Nance. The moves are complex and even contradictory, but the big takeaway is that Cleveland got younger, quicker, and less creaky, just as they hoped to. The average age of the Cavs’ four new players: 26.5. The average age of the six players they gave up: 30.3. A team that felt awkward and ill-formed now has a chance at cohesion. A team that felt stale and tired now has some promise. Sure the players Cleveland acquired won’t necessarily solve the Cavs’ notorious defensive woes, and yes last summer’s Kyrie Irving trade looks even more disastrous given the relatively meager return for Isaiah, but it’s not as if general manager Koby Altman was dealing from a position of strength. He had to turn a collection of misfits into a functional roster, while planning for a future that might or might not include LeBron James. Given that reality, the Cavs’ deadline haul was awfully impressive. Not only is that a solid lineup, with a healthy balance of youth and experience, but the newly acquired athleticism and versatility should allow Ty Lue to get more creative with his lineups. It might take some tinkering, especially with Love out for at least another month, but the pieces are there for a competent rotation that won’t allow 110 points a game. It’s impossible to say whether these new pieces will fit with the Cavs’ old ones to form a truly dangerous team. But Cleveland’s pre-deadline team sure as hell wasn’t going to win a championship, leaving radical change as the only real option. The Cavaliers’ needed drastic action, and on Thursday that’s what they got.